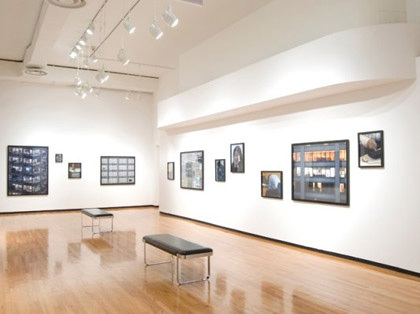 In 1980, the Museum of Contemporary Photography established a permanent collection and it is through this collection that the museum has been able to provide an invaluable research and educational resource to the general public and thousands of students. In 2009, the growing collection was digitized and made available online for free to the general public. To extend the reach of the Museum of Contemporary Photography’s vast resources from the collection and enhance connections between the institution and the community, artist Jan Tichy has developed a project and exhibition utilizing the museum’s collection of over 12,000 photographs. Read More. Over the course of the past year, Tichy has been working with a group of graduate students from all over Chicago including Columbia College Chicago, the School of the Art Institute of Chicago, the University of Chicago and the University of Illinois at Chicago to identify and develop strategies for better access to the online collection database. Using tagging applications, website design strategies and interactive elements, Tichy and the students hope that a greater community will have better access and ultimately will engage with the collection and utilize the museum’s vast resources and scholarship.